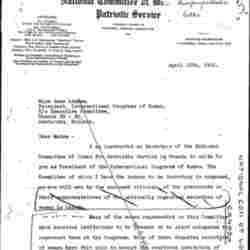 Atkins criticizes Addams' peace efforts as shallow and coercive. 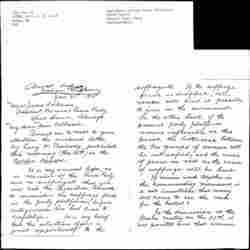 Catt explains her reasons for not accepting Addams' invitation to be a representative on the International Council for Permanent Peace. 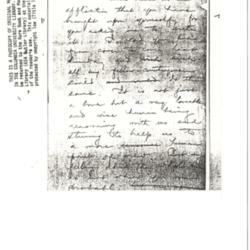 Bradford thanks Addams for sending her The Women at the Hague, and praises the book. 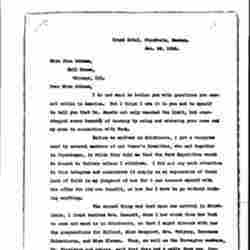 Spencer expresses her concerns and voices her suspicions to Addams in regards to the Henry Ford peace plan. 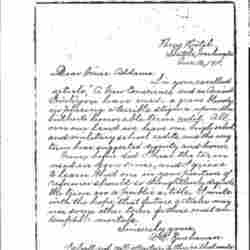 Schwimmer reports problems with Aletta Jacobs and other pacifists that endanger the success of Ford Peace Ship expedition and hopes that Addams can intervene. 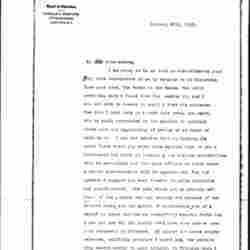 Jacobs updates Addams on issues coming up with the International Committee of Women for Permanent Peace, financial concerns and personality issues. 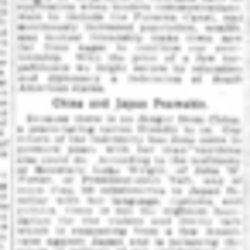 News report of Powys' speech before women pacifists that insulted them as "cowards, fools and knaves"
The Mirror criticizes Addams for her recent appearance at the Majestic Theatre, questioning whether she was paid and the probity of the appearance. 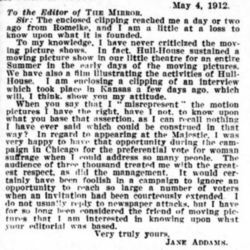 The Mirror publishes Addams' letter of May 4 and criticizes Addams support for censoring motion pictures. 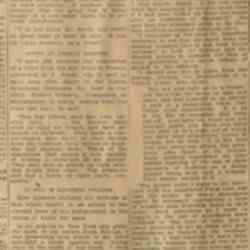 Addams questions the Mirror's coverage of her views on theater, asking to know the source of their reporting. 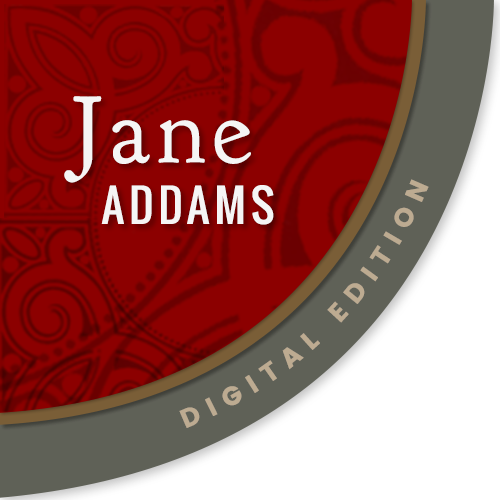 Richmond gives Addams detailed feedback on her book, Democracy and Social Ethics. 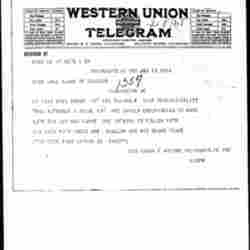 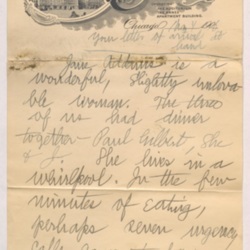 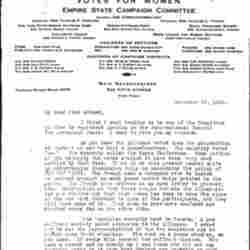 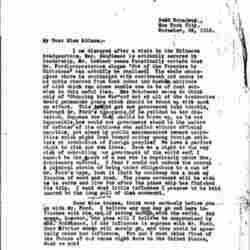 Plumptre, on behalf of the National Committee of Women's Patriotic Service, criticizes Addams about her views on peace and informs her about an open letter published in Canada. 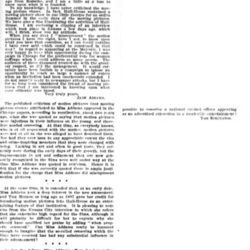 Buchanan objects to Addams' use of "cadet" in her articles about social evil because it is also used in military and high school connotations. 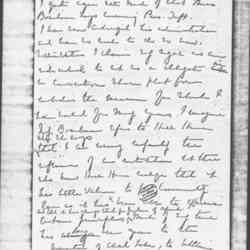 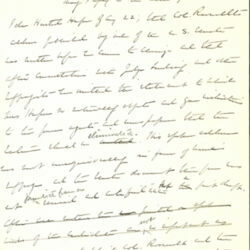 A draft of Addams' defense of Theodore Roosevelt's stance on suffrage rebutting Ida Husted Harper's sharp criticism the candidate. 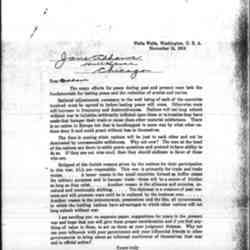 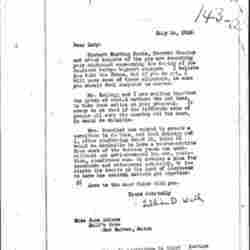 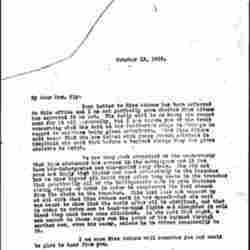 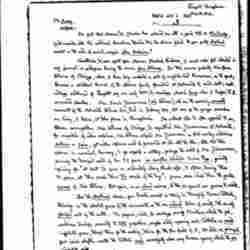 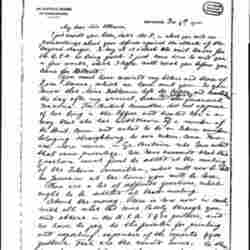 The letter was published on August 25. 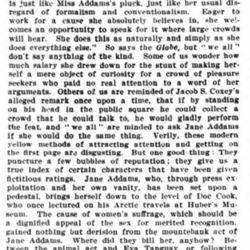 Addams defends her decision to support the Progressive Party in the face of criticism from woman suffrage activists who prefer non-partisan activism. 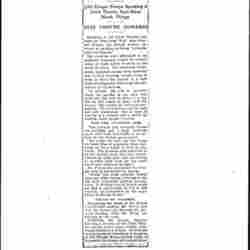 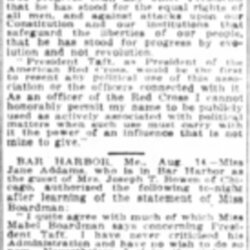 Newspaper coverage of Boardman's statement criticizes Addams for her partisan work with the Progressive Party and Addams responds. 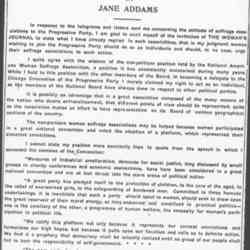 Addams defends her decision to sit as a delegate at the Progressive Party convention. 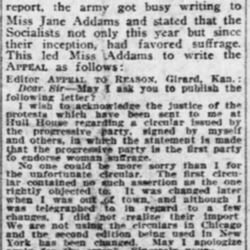 Addams apologizes for inaccurate information about the Socialist Party's endorsement of woman suffrage, which the Progressive Party circulated. 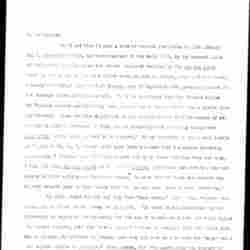 The editor of the Appeal to Reason comments both before and after the published version of her letter. 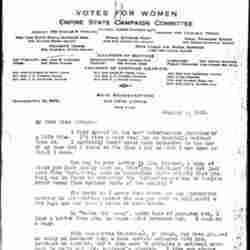 Ayres urges Addams to reconsider her stance on the inclusion of the suffrage plank in the Woman's Peace Party platform. 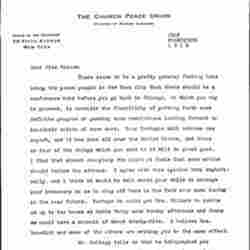 Catt apologizes to Addams because she did not know that there was another conference planned in Washington, D.C and it has caused confusion. 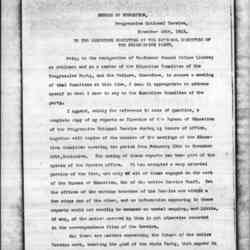 Armstrong expresses his beliefs about the peace movement and the causes of the current war.